120 Serving Entrée Only Package Introducing our new formulation with lower sodium and trans fat. 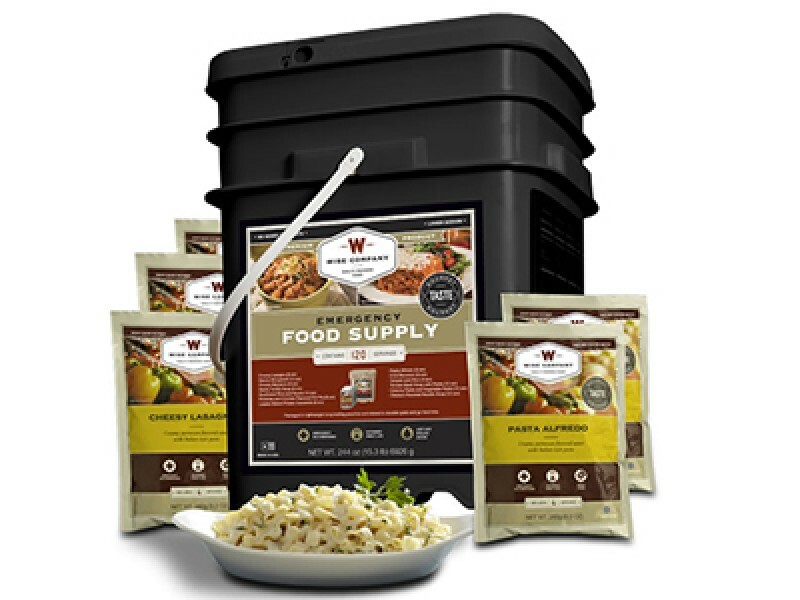 120 Servings entrée only Grab and Go Food Kit The Wise Food Company Stocking Up line of freeze dried food are an ideal way of preparing for emergencies. Wise Company freeze dried meals are sealed in airtight, 4-serving, nitrogen-packed mylar pouches and stored in a reusable square plastic container. 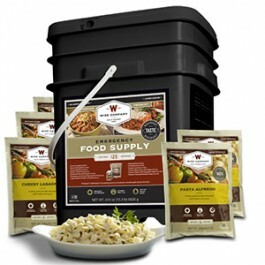 Wise Freeze Dried food Stocking Up meals have up to a 25 year shelf life with NO rotation needed. 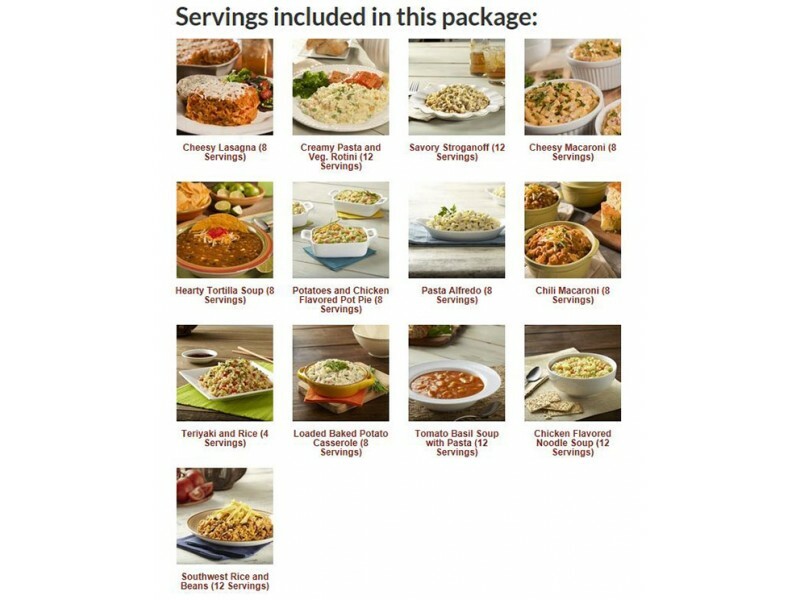 The unique 4-serving packaging size means you can continue to rotate through your inventory and not suffer from "menu fatigue" or worry about food spoilage.